... y'know, after Black Panther and Infinity War, I wasn't expecting to be excited as much for this one. A common theory I've seen is that she is Bill Foster's (played by Laurence Fishburne) daughter. And that a theme of the movie is the relationship between fathers and daughters. Well, that looks like it's going to be fun! I feel sorry for Captain Marvel. She has so much of, well, everything to measure up to that I fear that her film will be the first major bummer of the MCU. The idea that interest will fade with the first solo-female lead film would just kill me. Or worse, Captain Marvel failing at the box office. I mean, how can she even hope to stack up against all that's going on right now? Yeah, I'm going to wait for trailers before I'm gonna start worrying. Good call. No reason to down on a film when Marvel's track record is at a comfortable, what, ninety percent good films as opposed to mediocre/bad? 90% good, 100% male. And yes, I'm including the Avengers in that roster too because no one has yet to convince me that they're not just Tony Stark stories. Captain Marvel will represent, oh, a good 4.76% female representation in the MCU's roster of films by the time it comes out. And you can bet your asteroids that number will continue to get smaller. Ant-Man always had one safety net. It was about a guy. Captain Marvel will be the MCU's 21st film that was preceded by nothing but dudes at the center of it's story. Oh, sure. You can jump on the Kevin Feige's bandwagon by declaring this series has featured wonderful female characters, but it was never about them. Cripes, Kevin even had the audacity to say that this film's title is a breakthrough because it featured a female character's name in the title. SECOND BILLED of course. Isn't that a different thing than what you were saying before? And anyway, isn't that more of a problem with the film industry as a whole that the MCU is only part of the problem? It's still about the many issues that plague the Captain Marvel movie. And while the industry as a whole is problematic at representation, some are doing a much better job at having women as their leads than Marvel Studios. The new DC universe got to Wonder Woman by their fourth film and she already has a confirmed sequel. Captain Marvel only has her film. Well based on the trailer it does look like the movie is giving Hope significantly more focus than the first movie. Of course the line about Scott needing a partner does make me think that its going to be about how they support each other and make each other better, but even that is still about her contribution and importance. As an aside I really hope Michelle Pfieffer's role as Janet gets some significant screen time. 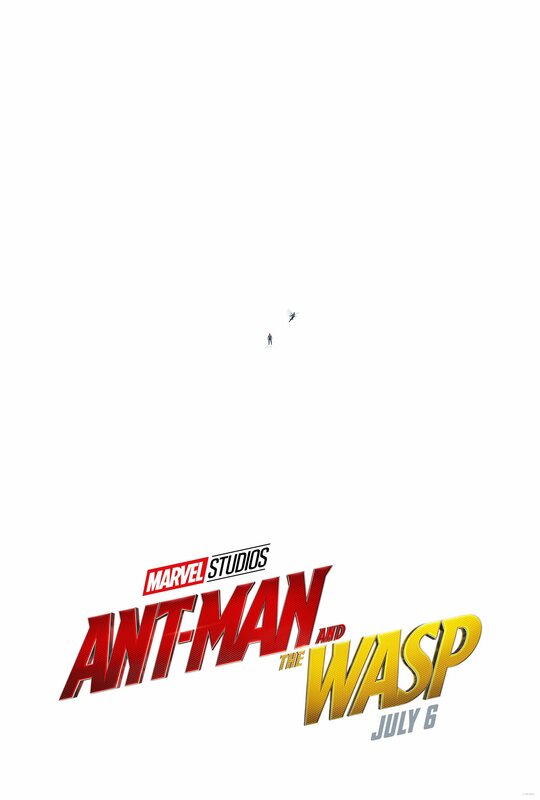 And to be fair to Feige while Wasp is billed second, she's still in the title. As low a bar as that is (and the bar is pretty much on the ground), it's still more than Black Widow, Wanda, or Gamora can claim. Is Black Widow an Avenger? Is Gamora a Guardian of the Galaxy? Because if they are, they CAN claim to be in the title. Sure but it's not quite the same as Iron Man, Captain America, Thor or Spider-Man having their movies named after them. Even the Winter Soldier has gotten that. I kind've thought Edward Norton's Hulk, Thor The Dark World and Iron Man II were all let downs, so I don't think Captain Marvel will be the first mediocre film. If it is indeed the case. Like someone else said in this thread people were dumping all over Ant Man before it came out and it turned out to be a hit commercially and with fans. Don't know what critics thought of it but I think less and less of their opinion these days. Guardians of the Galaxy is another example of a film that people wrote countless thinkpieces about how it was doomed to fail before it ever came out but ended up being one of the most beloved movies. If anything, there’s more cause to be pessimistic about Ant Man and the Wasp, since their record for sequels that don’t star Captain America is pretty bad. I saw the shrink-a-building trick last night on The Flash!